I think we can all agree that more and more we are asking educators to handle more responsibilities with less resources. Teachers in Texas deserve the best in and out of the classroom, and that is possible with Texas Teacher Home Loan Programs! What the Texas State Affordable Housing Corporation (TSAHC) is and how their grants and loans they make housing affordable to educators! How Homes For Heroes Texas is organized and who qualifies for down payment grants of up to 5%! Where you can apply for the Mortgage Credit Certificate (MCC) and how to use this $2000 tax credit! A good place to start is with the Texas State Affordable Housing Corporation. The TSAHC is a non-profit set up with the purpose of providing affordable housing solutions. 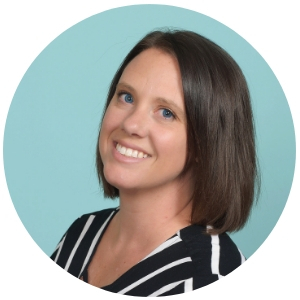 Through them, teachers are able to secure several different types of loans and grants that can make buying a home significantly easier. Their website provides good information on the different programs available, as well as the various requirements for the programs. They also provide information on the lenders that are approved to give out loans on their behalf. The main program offered by the TSAHC is the Homes For Heroes Texas program. This program provides down payment grants of up to 5% for qualified buyers. The important thing to recognize is this is not a loan, but a grant. This means that it does not need to be repaid! In addition to down payment assistance, loans secured through this program are often times low interest, which can save huge amounts of money over the lifetime of the loan. Securing financing through this program are one of the best loan options for teachers in Texas. 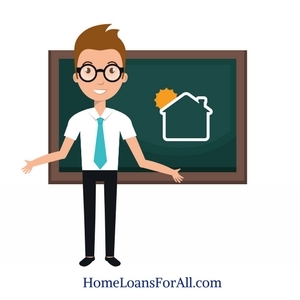 Who Qualifies Home Loans for Teachers? In terms of teaching, most full time employees working with students k-12 are eligible. This doesn’t just include teachers, but extends to school nurses, librarians, and counselors. Anyone falling into these categories that works full time is eligible to receive down payment assistance as well as great interest rates on their loans. There are also some additional location and income requirements that must be met. These can vary by lender, so check to be sure you hit all requirements. In addition to teaching, the Homes For Heroes program is available to a variety of other professions such as firefighters and Police Officers. Mortgage loans are provided by approved 3rd party lenders that then receive the additional benefits. In many cases, these loans are technically FHA loans, with additional benefits provided for teachers by the TSAHC. For more specifics, contact an approved lender so learn about the terms they offer. However, only certain lenders are approved to offer loans on behalf of the TSAHC. It’s important to get in touch with the lender to determine if the loan they offer is eligible for TSAHC benefits. It’s also important to keep in mind that since these are individual lenders the specific requirements and conditions may change. This includes things such as the interest rate, so it’s always important to shop around a bit to get the best deal possible. Looking for assistance specific to the city of El Paso? Click here! In addition to the loan itself, first time home buyers can qualify for a Mortgage Credit Certificate. This is a tax credit, up to $2,000, that is based on interest paid on a mortgage. This tax credit can potentially save thousands over the lifetime of the loan. It can also be used in conjunction with other down payment assistance to double up on benefits! Remember though, this is only for first time home buyers, which is defined as those who have not owned a home in the past 3 years. If you do qualify though, this is a fantastic program to take advantage of. In addition to government assistance, some lenders might also have their own programs for educators. This might include benefits such as a quicker loan process, closing fee credits, or discounted realtor fees. As these are up to the lender’s discretion, any sort of specifics will have to be discussed with the lender itself. They may also have their own set of requirements on who qualifies, so talk to a lender to see what sort of options they have available. If not a teacher or other qualified public servant there are other options available for home loans in Texas. This includes the Home Sweet Texas Home Loan program that is open to low income families and individuals. While this is an option for teachers, it is also open to other professions that might not qualify for other assistance. In addition, there are a wide range of federal programs such as FHA available to home buyers. As above, these are also options for teachers to consider, but are also open to a wider range of borrowers. As a teacher in Texas there are multiple programs open to you to help secure an affordable mortgage. The down payment grant provided by the TSAHC is a huge help in securing a loan, and the MCC tax credit can save you additional money over the term of a loan. Understanding the requirements for these programs is a huge step forward in saving you and your family money on your home purchase. Learn more about these bad credit home loans in San Antonio, Texas. Can Benefits Only Be Used By First Time Home Buyers? While the MCC tax credit is for first time home buyers only, much of the down payment assistance is not. Do I Have To Secure a New Loan? No! Benefits are also available to refinance existing loans. Do I Have To Live In Texas To Qualify? 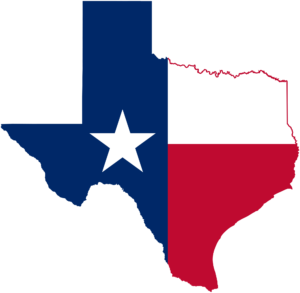 Yes, these programs are specifically for home buyers in Texas. That said, there are likely similar programs available in other states. Do I Have To Pay Back Any of The Down Payment Assistance? No, down payment assistance offered by the TSAHC is grant and does not need to be repaid. Can I Get Both MCC Tax Credit and Down Payment Assistance? As a first time home buyer yes, you can use both together. 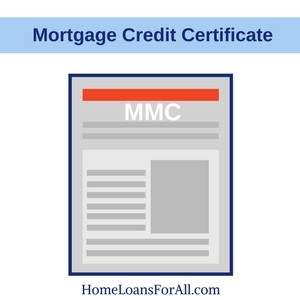 For non-first time home buyers unfortunately you are not eligible for the MCC tax credit. Is There Restrictions on Where a Home Can Be Purchased? No, the program is state wide. However, certain counties may have different income requirements which may disqualify some higher income individuals or families.